Hahahah..... this is really "Ohwsome"!!! 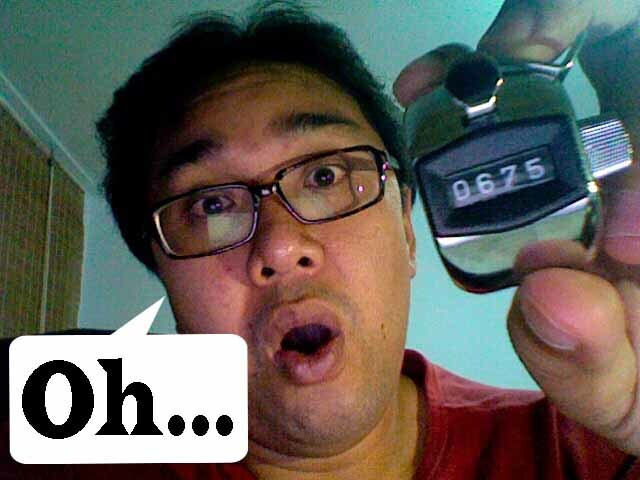 I "Oh" people status in facebook 675 time with in 14 hours. 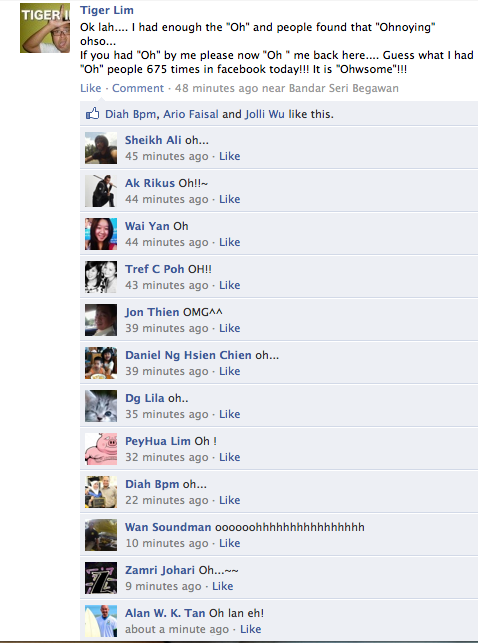 Oh my god.... many people found that my "Oh" project sound "Ohnoying" to them but still "Ohviously" still got people like that Oh lot and sharing their "Ohinion" in their facebook too. Anyway.... this "Oh" project "Ohready" over... so you not need to worry that I'm going to "Oh" you there. "Ohnesly" I found this "Oh" is really useful...It can fit and suitable for any kind of reply your friend's comments or status in their facebook. Not need to sakit kelapa and thing what to reply... just "Oh" back them saja!! Is really "Ohwsome!!!!" Go try it yourself and Oh Oh lah!! !